Raising a toddler is tough – like really tough. You’re faced with a never-ending set of challenges. Just when you’ve got one thing down, you’re faced with a new, seemingly even more difficult challenge to contend with. It’s exhausting and frustrating, yet just one little smile can make it all worthwhile. One challenge many parents particularly struggle with is bath time. While some toddlers absolutely love taking a bath, others go through a phase of refusing to take one. It could be fear which has developed after a swimming incident, or a simple act of defiance as they find their own voice. Whatever the reason, it can be difficult knowing how to deal with the sudden tantrums and flat-out refusal to get in the tub. If your toddler has started playing up at bath time, here you’ll discover 10 tips guaranteed to help. Like most toddler issues, try and remember that this is only a phase and it will pass. To help reduce the stress and trauma (for both you and your little one! ), it can help to temporarily reduce the number of baths they take. So, if they currently have a bath every day, reduce that down to every other day. Or, if they appear to get particularly traumatized, you could even drop it down to two baths per week. To keep them clean in-between bath days, baby wipes should work well providing they aren’t getting too dirty. Babies and young toddlers love bubbles, but as they get a little older, the fun and excitement appears to die down a little. However, don’t underestimate the power of a warm bubble bath! Even older toddlers love splashing around in bubbles. So, just because they might not be interested in blowing bubbles now, it doesn’t mean they aren’t interested in a bath full of them! I dare you to find a toddler who doesn’t love new toys! Adding a few new tub toys can help to make bath times more fun and exciting. If you want to really make them happy, you could even give them bath crayons (making sure they’re non-irritant and suitable for toddler use). That way, they can have lots of fun drawing in the bath. However, any new tub toys will work, the more creative the better! One of the reasons toddlers can develop a fear of the bath is because they’re afraid of getting water into their eyes. A bath visor can really help with this, protecting their little eyes from splashes. It’s simple and affordable and could save you a lot of stress! As well as a visor, it’s also a good idea to have a dry cloth close by. So, if water does get into the eyes, or simply on their face, they can use the cloth to dry themselves as and when needed. One of the key things you learn as a first-time parent, is routine is everything. However, there are certain times where routine can be broken and a sudden fear of bath times is one of them. Most parents tend to bathe their toddler before bed, but you may find it more successful to try switching to a morning or daytime bath for the time being. The simple change in time may even make your toddler excited to have a bath. Make it out to be a special event and they’ll want to do it even more. Another great tip which can help ease a toddler’s fear of baths, is to avoid filling it up. Instead, let the tap run as you gently bathe your toddler. It will use more water than filling up the bath, but it’s only a temporary thing so if your budget does allow, switching to running water for the time being can be a big help. You can even make it sound more exciting by telling your toddler they’re having special “shower baths”. Showers are something often reserved for older children and adults, so your toddler will find it pretty exciting being allowed to have a more grown-up sounding bathing experience. If you don’t like the thought of leaving the water running, you can try just adding a very small amount of water to the tub. Rather than filling it up, add a few inches of water and as they get used to that, gradually increase the amount added. If bath times are traumatic, it can be tempting to avoid mentioning the word “bath” until it’s absolutely necessary. However, doing so will only lead to further problems. Toddlers often handle difficult things much better when they have a chance to prepare. So, 10-15 minutes before bath time, be sure to let them know what’s coming. Now, dependent upon why your toddler doesn’t like baths, there are a number of ways you can do this effectively. If for example, your toddler is genuinely fearful or baths, the goal should be to provide reassurance. So, saying something like “You need to have a bath in 10 minutes, but I’ll be with you the entire time”. If on the other hand, your toddler is being defiant, you could say “You need to have a bath in 10 minutes, I know you don’t enjoy it, but we need baths to keep us clean so we don’t have a choice”. This not only provides assertiveness, but it also acknowledges how your toddler feels which is also important. Sometimes, providing a bath buddy can be a big help. It’s much more fun for your toddler if they have somebody else sharing in the bath experience. It could be you, your partner or even a sibling. If they bathe together, it provides a great distraction and also makes them less likely to refuse getting in the bath. One of the reasons toddlers may refuse a bath is because they find it boring. They were happily playing with their toys, or watching their favorite cartoon before you spoilt it with bath time. The good news is, if this is the reason your toddler doesn’t like baths, it’s pretty easy to fix. There are a lot of ways to make bath time more fun for your little one. We’ve already mentioned investing in new bath toys, but you can also sing together, create bubbles, read a book together or take part in any of the numerous bath time games available. If you’re struggling for inspiration, take a look online on sites such as Pinterest for ideas. One thing that can make baths more appealing to your toddler is changing the color of the water. It may not seem like a big thing for you, but to your toddler, getting into a blue, green or purple bath can be very exciting! You can add color by using a child-friendly food coloring, or add child-friendly bath bombs. You could even invest in safe LED bath candles which act as a toy as well as adding a color changing effect. Just make sure to keep an eye on them if they are allowed to use them as a toy. Overall, it can be distressing when your toddler starts to refuse a bath. However, as you can see above, there are plenty of tips that can really help. The first thing to do is figure out why they don’t like baths. That way, you can tailor the tips above to fit your child’s particular issue. I really must thank you for this post, we had big problems with our first son when was the time for a bath he was crying so loud that my neighbors asked me (the next day) if my son is sick. Now, my wife will give birth in November and I hope we will not pass through the same dilemma again. We have tried to add bubbles, and new toys, or make a bath with his mother in the hot tub but Alex (my son) was crying all the time. I will follow the other tips you posted here and I hope that with Deniss will be different! Poor thing. Something must have scared him and made him hate bath time so bad that he cries loudly. my toddlers don’t resist baths.but the tips were fantastic. my babies enjoy their bath probably because I bath them hot water and make sure the are in a good mood. I would say you are one of the lucky ones, augusta. Good for you 🙂 Most parents struggle with their toddlers during bath time. Thanks as well for sharing something that worked for you and your kids. Well, I am pretty lucky since my toddler absolutely loves taking baths. Even when it was his first time, I was more scared than he was, haha. You gave great tips that should truly work for any toddler. We always use toys and bubbles. It is very simple and every child loves it. Remember to keep the toddler distracted by talking to him/her, showing him/her bubbles, talking with the toys, all while giving him/her the bath. Focus on the fun aspect as much as possible! I really want to try out those crayons you mentioned. Just gotta find a shop that sells them. However, I am currently pregnant so these tips are always good to keep in mind if this situation occurs in the future. Yes, you’re really pretty lucky your toddler loves bath time. Not all my kids love it when they were toddlers. Sometimes though, the problem is not their refusal to take a bath but on getting them out of the tub, haha. Sometimes they just enjoy bath time so much, especially if they have bath toys, that I needed to force them to finish. I LOVED the idea of changing the color of the bath, though! I will put it into practice, maybe find a way to make colored bubbles too? I’m sure she’ll love it. Thank you! That must have been really difficult for you, RoseLady. Good to know your creativity with her bath time paid off in getting rid of her struggles. Indeed, if you’re a parent, you need to be really creative. And yes, please do try tip #10. It sounds really fun. I no longer have a toddler so I would not know for now. I will probably try it when I get grandkids, but I hope not yet. I know how difficult it can be for a child to enjoy taking showers. It was difficult for me as a child, and it’s difficult for my baby now. My mom used to create games that we could “only” be played in the shower, and as I liked the game, I agreed to take the shower just to play. I have tried that with my son and it has worked. Wonderful to know something you’ve learned from your mom also worked on your son, goldlady 🙂 Thank you for sharing about your experience. From my experience with kids/toodlers, they would never say no to playing any kind of game as long as it gets them a fun time. Fixing up bathing sessions to also be a good playing time works like magic in getting a baby to freely agree to bath anytime the parents desire. I’m not surprised it worked out well for you and your baby as, it’s because it’s just the nature of kids to enjoy playing always. Currently, my baby is too young to resist bathing (he is just few months old), however, once he grows and begins to understand things, he will definitely resist (I have observed that for most babies bathing is not a good activity). This article is full of good ideas. Some of the ideas that I will be implementing in the futures are having bath toys, switching bathing time, adding bubbles and making bathing a fun filled activity. MY baby does not resist bathing as I had speculated. In fact, he loves bathing as long as the water is warned. I am even thinking to get a kidde pool for my baby and buy some bathing toys. bathing is always a fun time for my baby. This summer he is talking a bath every alternate day. I could have given him daily bath, however, I hear too much bathing is not good for the baby. Is this true? Most toddlers are really lazy when it comes to taking a bath. I even see some of them pretend to have one by just making their hair look wet. My niece used to do this before. Most parents here put toys as you suggested. I often see rubber duckies being put in a bath. They also setup a kiddie pool where toddlers can still play so they can have fun while taking a bath. One thing I also notice is that most parents here let their toddlers take a bath at noon time. It’s the hottest time of the day, especially for tropical countries. Children will most likely prefer to take a bath by that time since they are not comfortable feeling hot. I think adding bubbles should be included in our practices here, especially for kiddie pools. I’ll take note of your suggestions. Yes, most kids would not refuse a fun bath time! So it’s really important to use bath toys when it’s difficult to convince a toddler to take baths. And yes, it’s also good to schedule bath time during the hottest time of the day. It’s truly easy to convince them to take a bath when they’re feeling warm and uncomfortable. Toys are very good enticer to getting kids do virtually everything you want them to do. I don’t think I have ever seen a toddler that said no to a toy, they would even fight to keep it for themselves. So it’s definitely going to get them to love the idea of taking their bath anytime and any day. Great tips on how to get one’s little to take to bathing with so much ease. 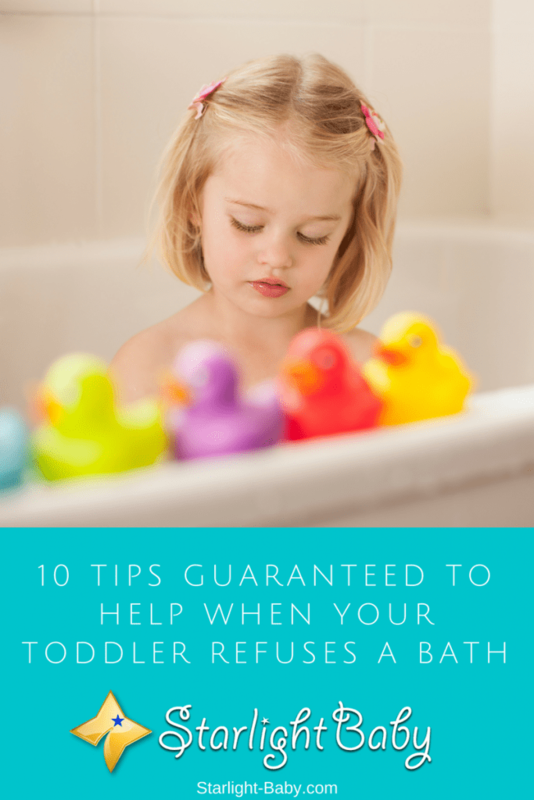 Toddlers can be very worrisome sometimes which could get most parents frustrated, but I definitely believe that most of the tips discussed here would be very helpful with toddlers issues with bathing. I would say the use of bubbles, bath toys and actually bathing together with the kid is going to be very effective in getting the child enjoy taking his or bath. The moment it’s mentioned bathing time, such child would be filled with joy because of the fun the child gets while bathing.